Millions of fascinations. Hundreds of events and festivals await your discovery for 365 days and beyond. It's a non-stop fusion of colourful sights, sounds and experiences. It's the nation's biggest and grandest tourism celebration. 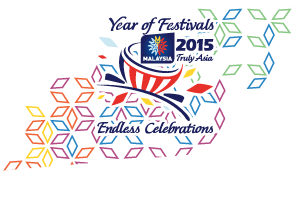 (November 16, 2013 - January, 2014) The year is not complete without the 1Malaysia Year End Sale, a grand shopping event that wraps up the year with a bang. Shoppers can expect an interesting line-up of fashion-related events, entertainment and nationwide shopping promotions. (January 13 - 18, 2014) An event that has become the talk of Southeast Asia, the Royal Langkawi International Regatta will see more than 50 yachts competing in nine highly-charged racing classes. Do not miss all the drama and excitement on the high seas! (25 Jan, 2014) Tropfest, the world's largest short film festival is also known as the world's first truly global film festival. (March 28 - 30, 2014) Adrenaline-pumping action galore at one of the most awesome tracks in the world. With its extreme hot and wet conditions, Sepang International Circuit is a challenge even for the finest drivers in the world. Don't miss this Hot! Hot! Hot! Race! (2 June, 2014) A programme that brings together people from all walks of life to celebrate Tadau Kaamatan dan Gawai Dayak as well as to foster unity and harmony of the 1Malaysia spirit. The programme includes cultural performances with traditional delicacies served to guests. (28 June – 1 Sept 2014) Shopaholic alert! One of the three major shopping seasons in the country is back with mega shopping excitement, dining options, endless entertainment and fun-filled activities! (1 - 31 August, 2014) This celebration spans three days spotlights George Town is living heritage, artistically demonstrated through multi-cultural arts and dances, delicious food and traditional activities. 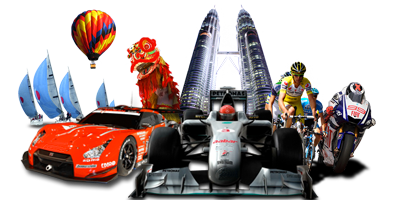 (24 - 26 October, 2014) Enjoy this thrilling motor race with unpredictable adrenalin-pumping action. Don’t miss this hottest race in town. Brace yourselves as your favourite racers zoom towards the chequered flag at full speed. (1 November, 2014) A programme that brings together people from all walks of life to celebrate Deepavali and foster unity and harmony of the 1Malaysia spirit. The programme includes cultural performances with traditional delicacies served to guests. (4 - 7 December, 2014) Penang Island Jazz Festival will be held at Batu Ferringhi in December. Artistes from jazz and other genre bands will use this as platform to promote their talents. (28 December, 2014) A programme that brings together people from all walks of life to celebrate Christmas and foster unity and harmony of the 1Malaysia spirit. The programme includes cultural performances with traditional delicacies served to guests.